WHY CHOOSE AVIATION ZONE ? 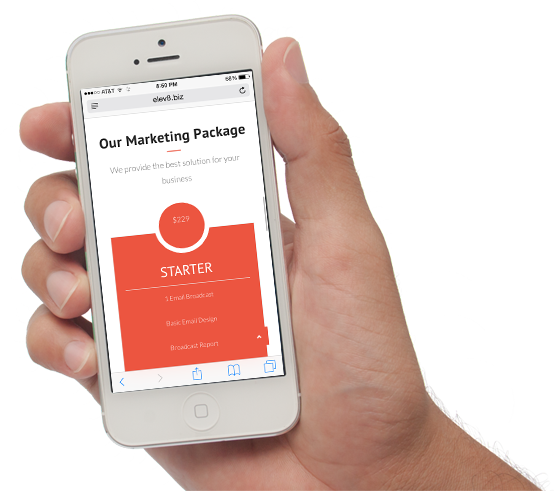 Each package is custom tailored to your targeted market. From email broadcasts, mail marketing or fax to reach professionals in your industry, to logo design, website creation, and more, Aviation Zone will take the time to sit down with you and find your unique message – then deliver it to the world for you. Not only will we include you in our social network feeds – Facebook, Twitter and LinkedIn, to increase the effectiveness of your broadcast, we can even help you set up your own social network. Ask us how. Our basic email design services allow you to easily express your own unique message, and is always included as a part of your broadcast. 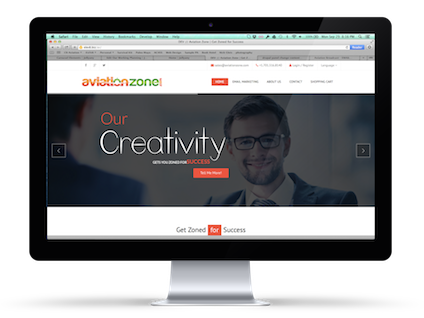 Aviation Zone can also sit down with you and review more detailed requirements and multiple designs, logo creation, branding your product or service, website design and more. Choose a broadcast package or let us create a custom strategy for you that does even more. Our Team will create your broadcast email, logos, social feeds or other services you choose in your package. Once your specific options have been approved, we will set a Go Live date with you. From email broadcast, to a live website – we want you to see results when you Go Live! You will receive a comprehensive report on your broadcast or other service, once it goes live. Then sit back & start responding to your new customers. It takes time to sit down and consider the best way to get your message out. You need to support your business, your family and yourself. There is only so much time in a day and when it comes down to it, the last thing you really want to try to take time for is figuring out how to create a marketing strategy to find your next new client. Sure – it sounds good to say word of mouth and sending “free” email to a small list you have in your address book is enough. However, not creating a budget can cost you a lot more in the end. Big companies have millions to spend on marketing strategies. The good news is that with a small investment and the right team, you can create the professional “big budget” exposure for a lot less. Even if you know you need to do something, the details are usually the most difficult to work out. Fortunately it does not take a 20 page presentation on marketing strategies to put one together. Think about a couple of basic points – who do you need to reach, and what do you want to tell them. A good strategy does not have to be complicated. Aviation Zone is here to help narrow down your most important message and make sure it gets out. Even if you can master the time, create a strategy and stick to a budget, creating content is usually where everything comes to a grinding halt. Part of your strategy should be determining your message. What problems do your future clients face? What do you do to solve that problem? How are you uniquely able to do this better than anyone else? Having a marketing team that can assist you can be invaluable and ensure that you will be able to follow through on your plan. Give them your main points and let them do the hard part. There is no reason your aviation marketing plan should fail – Aviation Zone is here to make sure you Get Zoned for Success!